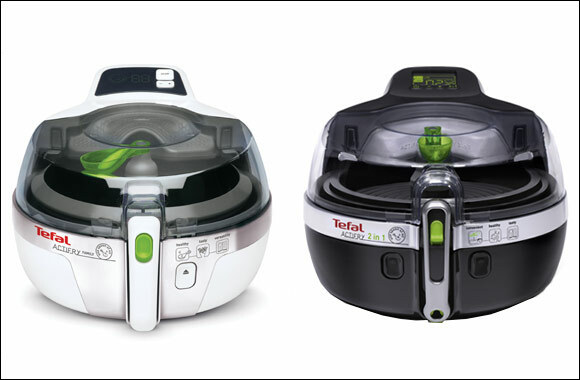 Over the years, Tefal has introduced a wide range of innovative products that have had a significant effect on the eating habits of people, particularly in the Arab world, educating people about healthy eating habits. As the obesity epidemic continues to spread throughout the world, according to a research by BioMed Central Public Health that revealed that the majority of countries in the Gulf Corporation Council (GCC) have been ranked among the world’s top 10 countries with the highest rates of obesity. Arabian Gulf states, including the United Arab Emirates, , Saudi Arabia, Qatar, Kuwait and Bahrain, have a particular concentration of obesity where between 66 and 75 per cent of the adult population – and 25 to 40 per cent of children and adolescents – are currently estimated to be overweight or obese. To steadily combat this growing epidemic, Tefal has continued to develop a variety of products that have helped to educate the public about healthy eating habits and alternative cooking methods. In recent years, Tefal has championed several innovations to encourage people to adopt healthy diets and explore healthier ways of preparing their meals. A prominent example is the Tefal Actifry range, an innovative fryer made in France first launched in 2007. Actifry allows users to cook fresh food with only one spoon of oil. For instance, with only one spoon of oil, an Actifry allows you to cook up to 1.5kg of french fries depending on the model. The fryer’s most impressive feature is that, despite the lack or absence of oil, the inventive product ensures that there is absolutely no compromise on the taste. The company has recently released Actifry 1.2kg with a snacking grid, the latest model in the Actifry range offering versatility. Another example of Tefal’s innovation that comes to mind is the company’s famous non-stick cookware and wide range of pans. The inventive coating allows meals to be cooked without any oil or fat since it is non-stick, ensuring easy cleaning. Tefal’s pots and pans have been creatively developed with know-how and passion to provide its customers with enhanced comfort and pleasure, while ensuring healthy and successful cooking every day, without compromising on taste or quality. In 2000, Tefal invented the unique Thermo-spot, a patent technology, it is a heat indicator patterned red spot in the centre of the frying pan that changes to solid red when the pan is perfectly preheated. This helps seal in the flavour of the food and preserve all the nutrients.